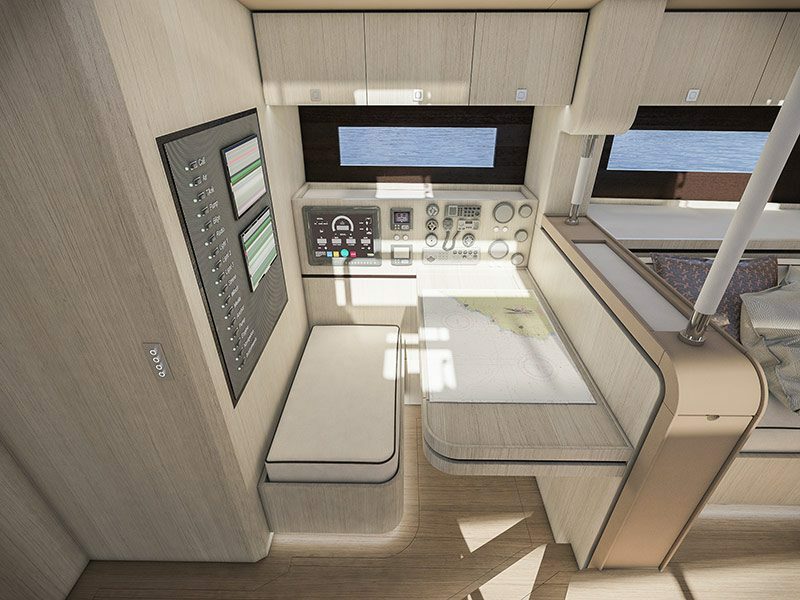 Hylas Yachts has announced that its new H60 cruising yacht will be offered with interiors designed by Hot Lab, a design studio in Milan perhaps best known for its award-winning interior and exterior designs for superyachts. 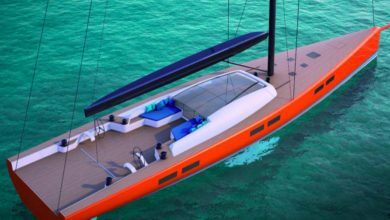 It’s a fitting evolution for Hylas Yachts, which has long been a leader in creating world-class cruising yachts, to collaborate with Hot Lab. The design firm that has grown, since 2004, to become the go-to for directional, stylish, and comfortable yacht interiors. 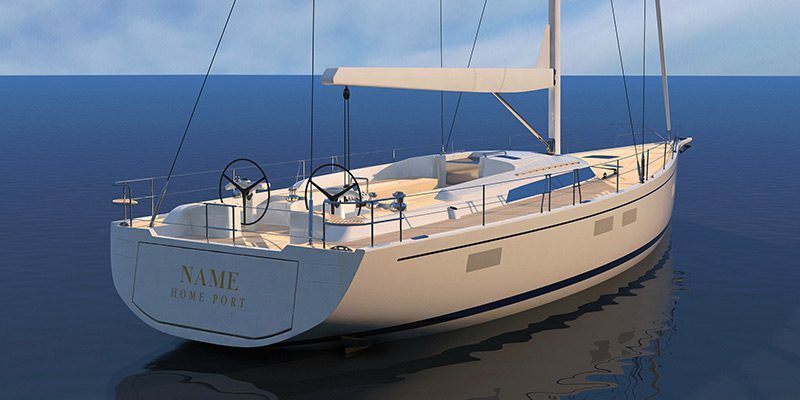 The H60 is a yacht designed by Germán Frers for blue-water cruising and is built using the latest construction techniques for optimal performance and onboard comfort. 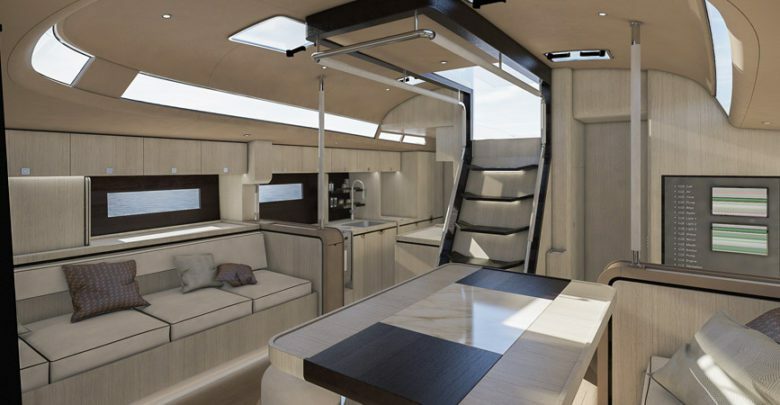 Frers has given the Hylas 60 a very spacious and bright interior with a number of cabin configurations. This space has then been fully utilized by Hot Lab to create a contemporary interior that could be described as a masterpiece of icing on a perfectly baked cake. 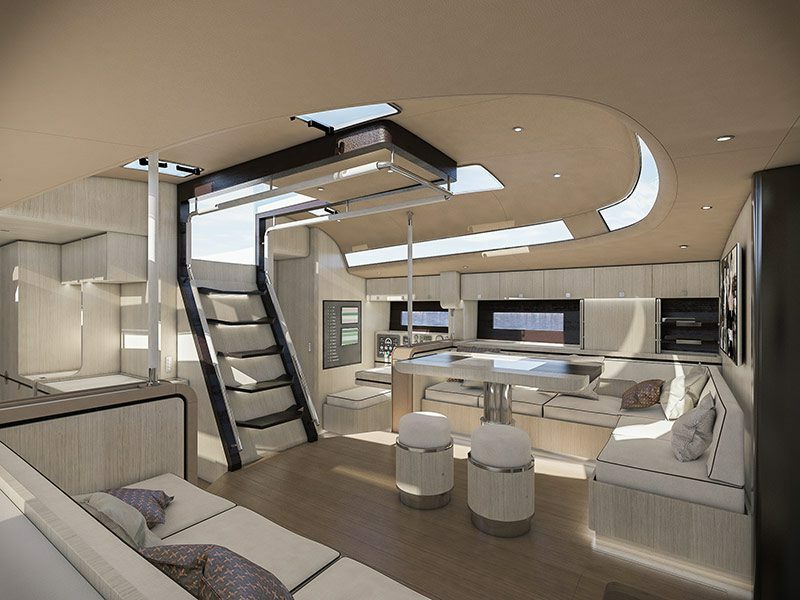 Hot Lab embraced the intent of the design and took the interior volume in hand to create a special feel throughout the yacht. 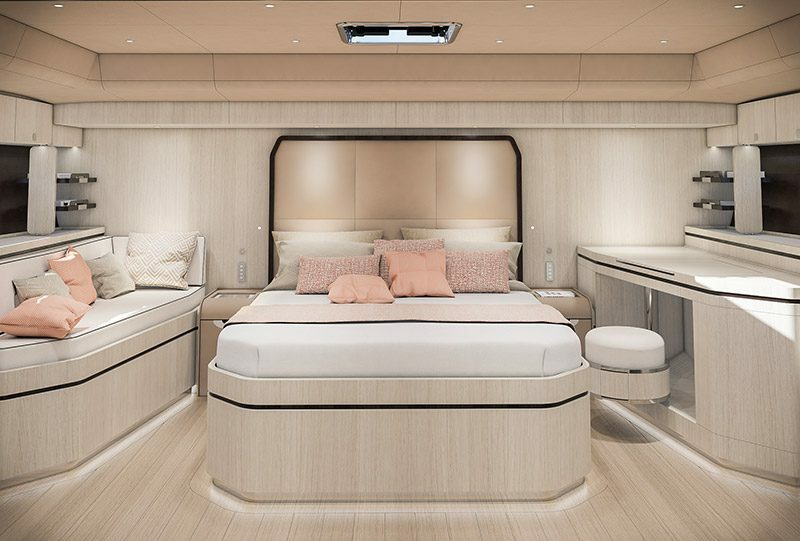 The clean lines have been created using the yacht builder’s substantial capabilities for interior joinery, while the accommodations spaces exhibit a stylish and modern sensibility, but with a subtle nod to classic woodwork. 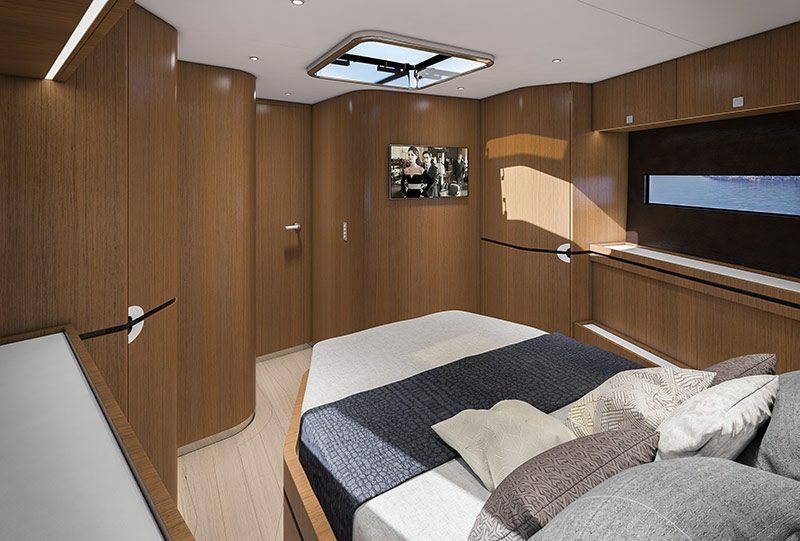 Of course, the H60 has large hull-side windows, a trunk cabin surrounded with windows, and skylights and overhead hatches that bathe the interior in natural light. Owners can choose between three- and four-stateroom layouts. The three-stateroom layout places a master suite aft, with a large berth on centerline. A VIP stateroom with queen berth is forward, with private access to a head that is shared with a portside double with up-and-down berths. Amidships, a large saloon area with an L-shaped settee with dining table and stools also has a starboard-side settee. 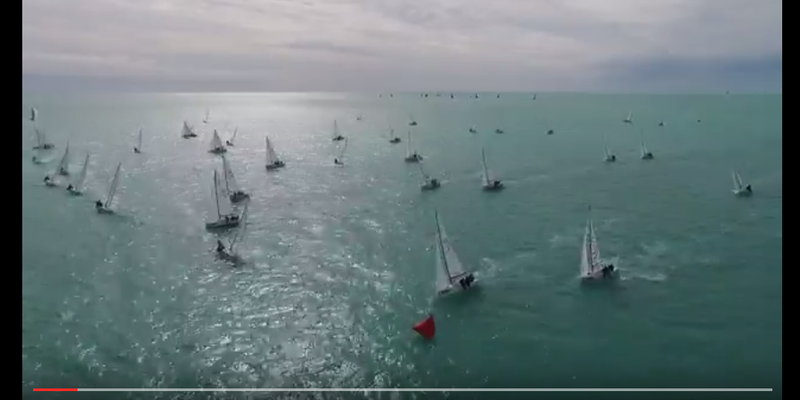 A nav station is to port and a galley starboard. 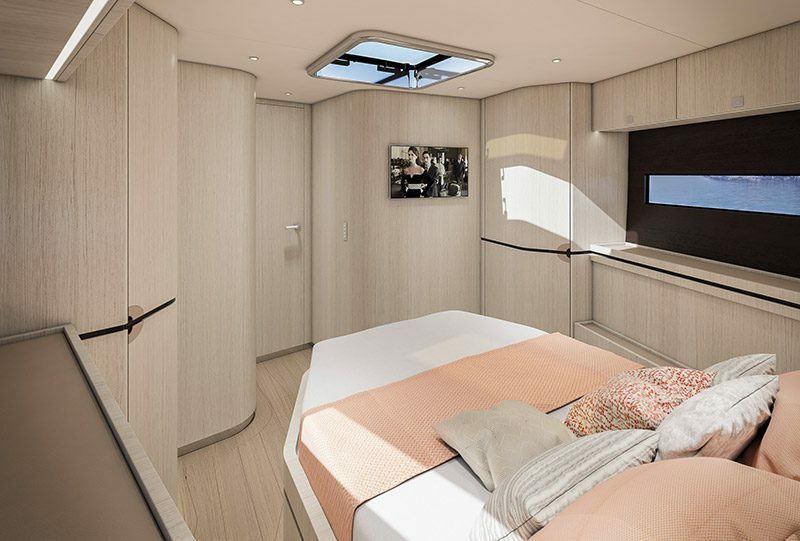 The four-stateroom layout places the master in the bow, using the aft sections for a pair of mirrored double staterooms. 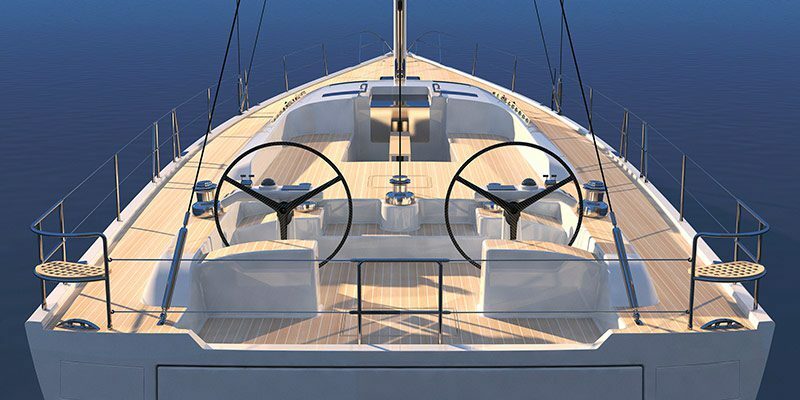 For many years teak has been a staple of the yachting interior due to its rare beauty, its rich golden-brown luster, decorative grain, and unique properties of strength, stability, resistance to wear and humidity. 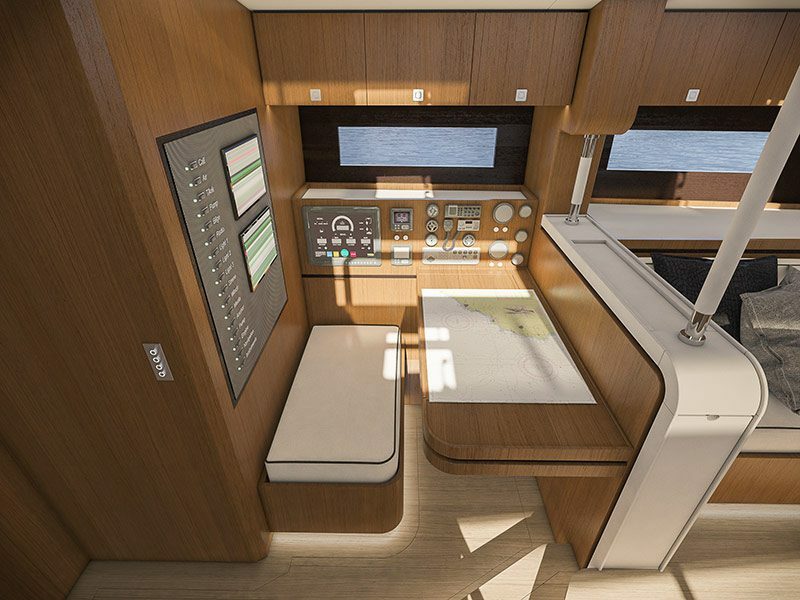 Having built more than 500 semi-custom yachts Hylas understands that the interior look can be a very personal taste and they encourage clients, that feel so inclined, to really explore different colors, textures, fixtures, fittings, woods and other fabrics. 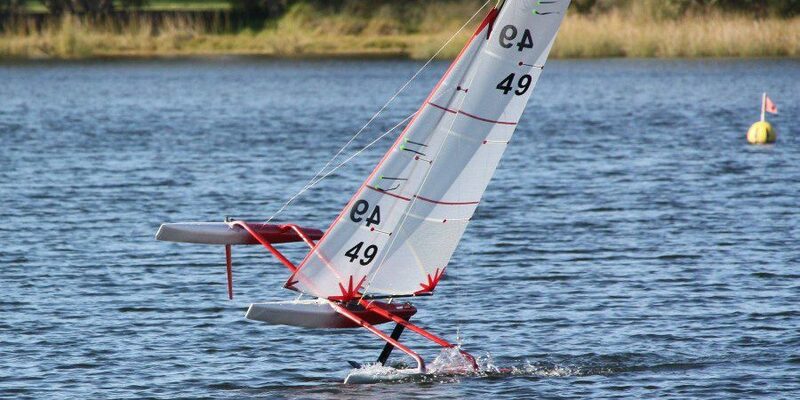 There are so many other possibilities and the new Hylas 60 demonstrates just a few. For example the owner can choose polished nickel, cream and white leather, oiled white oak wood, wenge wood and walnut wood. The inspiration coming from colors and textures of the shore line with beautiful beaches, exotic shells, surrounding forest and sun-bleached driftwood. Hylas will continue to build all of their established models and fully expect to be using plenty of hand-selected and sustainable Burmese teak.